​The seventh version has been further refined and re-modeled for improvements in both ease of use and flying characteristics. The design goal of the V7 was to improve all aspects of the kite to allow new comers to easily enjoy the sport from their very first session. This is made possible by creating an incredibly stable kite, which has constant pull, a large wind range and predictable handling. 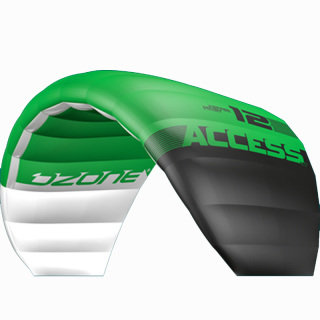 Even though the Access is developed for teaching and entry level riders it has become a favorite for experienced riders who require ultra stability in turbulent high winds and inland/mountain conditions. The Access is also a favorite for expeditions where it is essential to have safe and easy to use kites in extreme conditions. Tax Free and Free Freight on all Access V7 Kites!! !